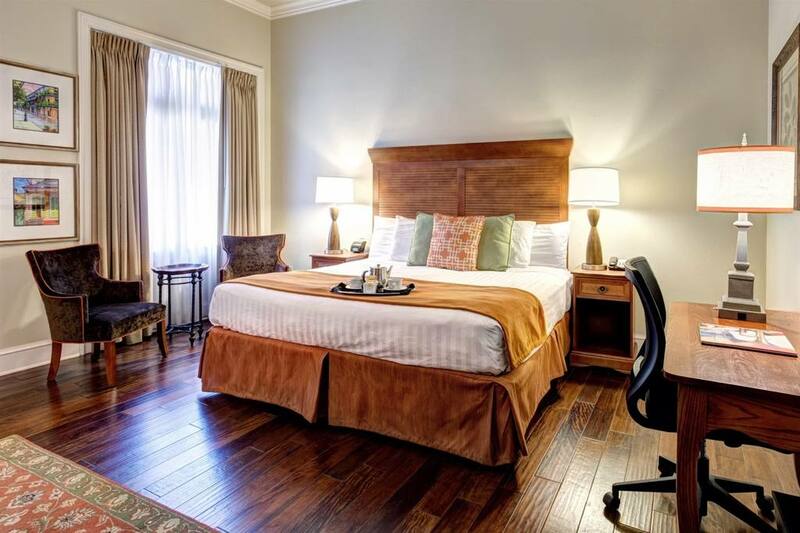 St James Hotel, An Ascend Hotel Collection Member Make your day hotel stay enjoyable and comfortable by booking your day stay at St James Hotel, An Ascend Hotel Collection Member. 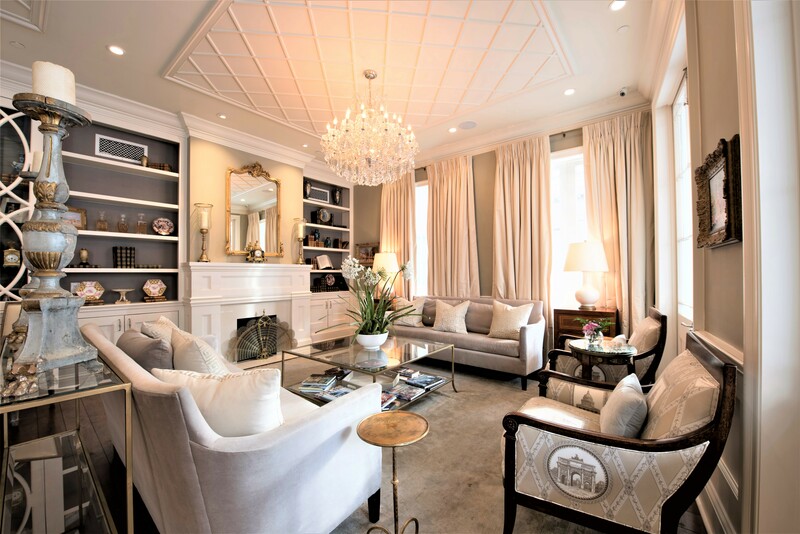 The St. James Hotel is one of the most charming day stay hotels in New Orleans. 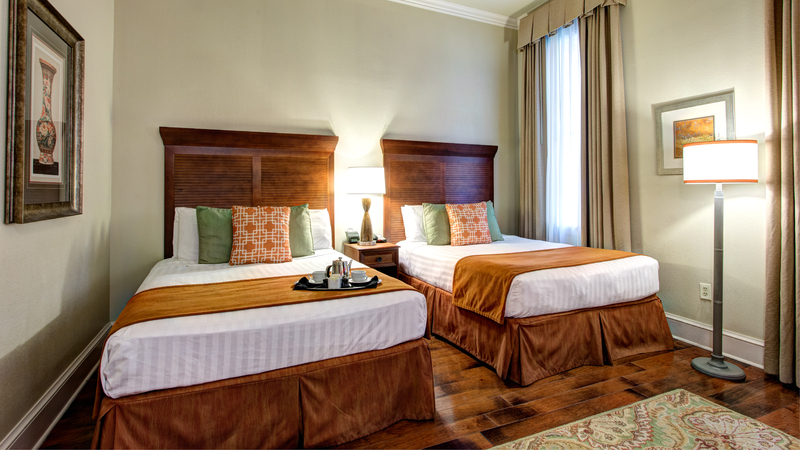 This boutique day hotel is located in the Banks Arcade, a legendary landmark building harking back to the 1800’s. This dayuse hotel has stayed authentic to its rich historic multicultural roots with British West Indies decorative flair. But there’s nothing old fashioned in the day use hotel’s amenities. 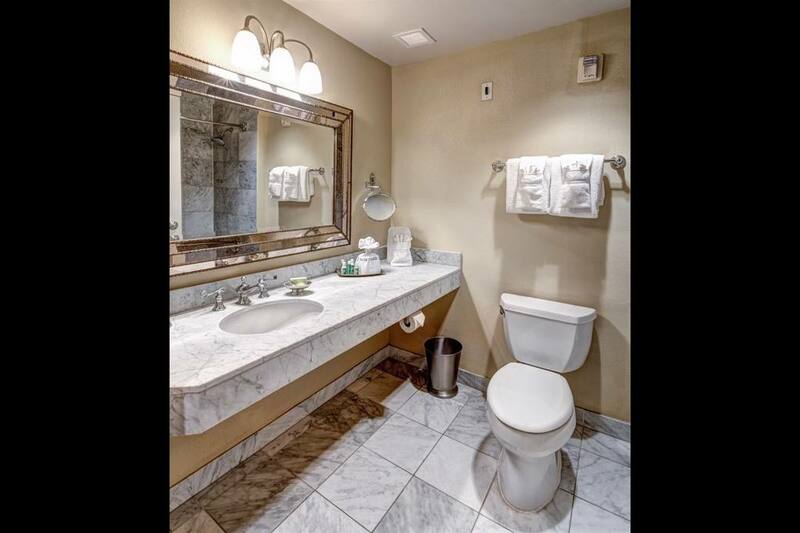 It was remodeled in 2012, and there is complimentary WiFi throughout the property. 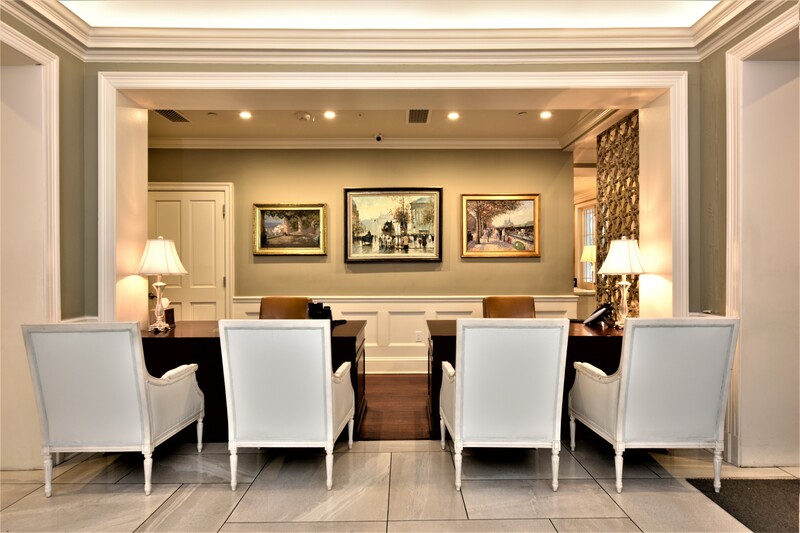 For busy executives on-the-go there’s a business center, 24-hour front desk, activity desk, wake-up calls and room service. Complimentary guest passes to a local fitness center keeps every guest in tip top shape. 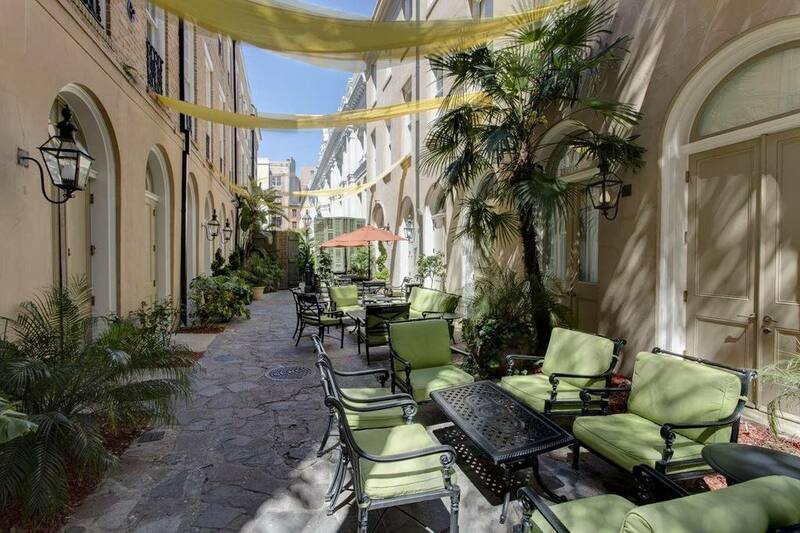 It’s also right next to an event center and the famous New Orleans Chophouse Restaurant is serving dinner and drinks right in courtyard. 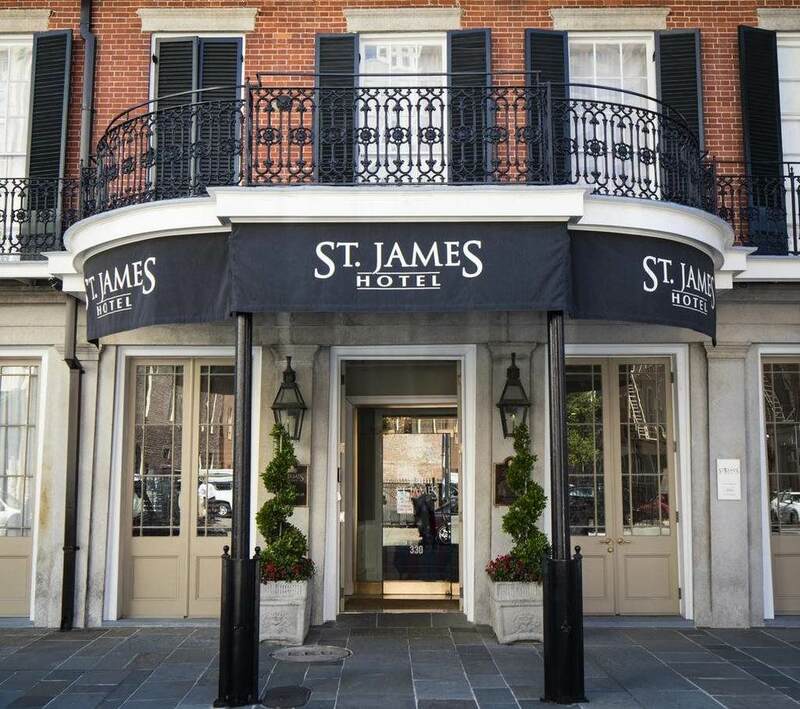 Visitors don’t have to go far to have an amazing daycation when staying at the St. James Hotel! 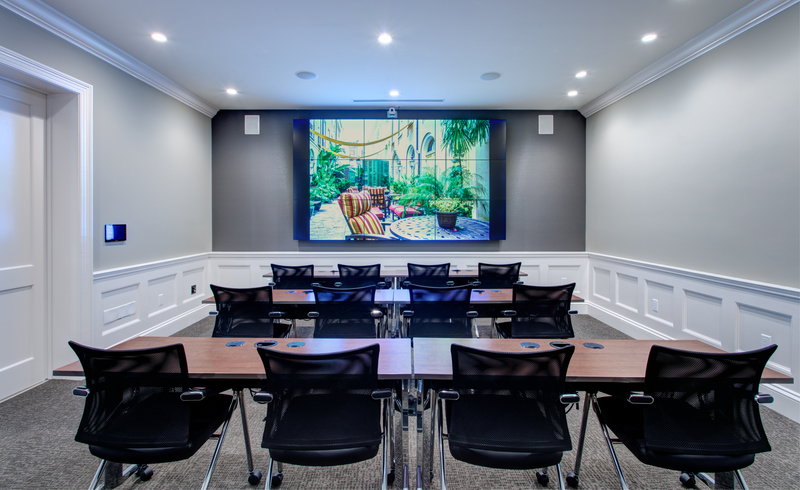 This same day hotel is approximately two blocks from the much celebrated French Quarter and a quick jaunt to the popular streetcar line. 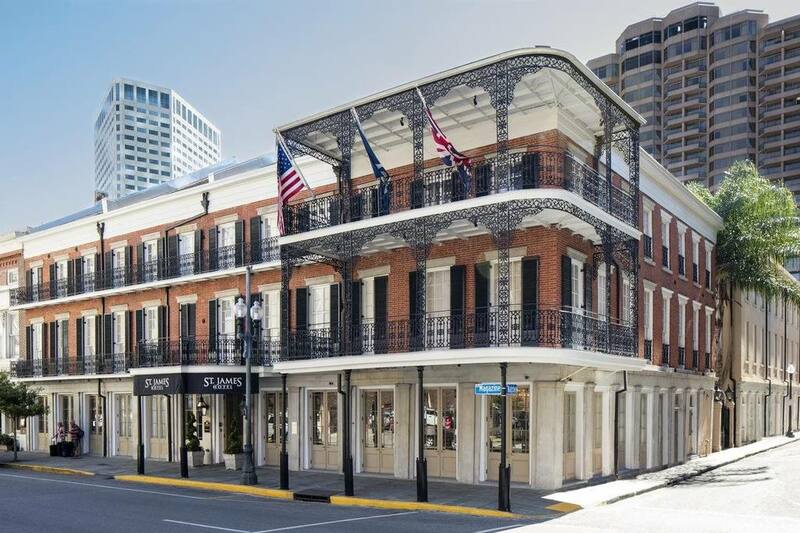 It’s the epicenter of the quintessential New Orleans experience and all the staple restaurants, bars, and shops are just minutes away. The Bon Ton Café – Get ready to step back in time. Order a Rum Ramsey and get your crawfish etouffée on! This mainstay of New Orleans dining has gas lights, wrought-iron chandeliers and exposed brick walls, creating the perfect backdrop for the lineup of fine Cajun cuisine on the menu. This is authentic New Orleans fare, from the appetizers to the pousse-café! Audubon Butterfly Garden and Insectarium – Kids of all ages will be delighted by the incredible attractions of the country’s largest museum devoted to insects. Less than a half a mile away from this daycay hotel, the main event is thousands of beautiful butterflies housed in an Asian garden. Learn more about the marshlands of the bayou all from the safety of an exhibit. It’s a once in a lifetime experience. Mardi Gras World – This is where the great spectacles of Mardi Gras were born. Roy Kern, a local artist made his first float in 1932. Kern Studios, officially founded in 1947, by Roy and his son Blaine, created many of the early floats and Blaine became the parade’s leading designer and builder. Due to public demand, the Kern’s opened their studio to folks interested in seeing the behind-the-scenes artistry of Mardi Gras. In 1984, they officially opened Mardi Gras World to the delight of hundreds of thousands of fans per year. Valet & Event Parking – Temporary parking available for $20.00 + tax (cash only) or valet parking available for $39.00 + tax per night. 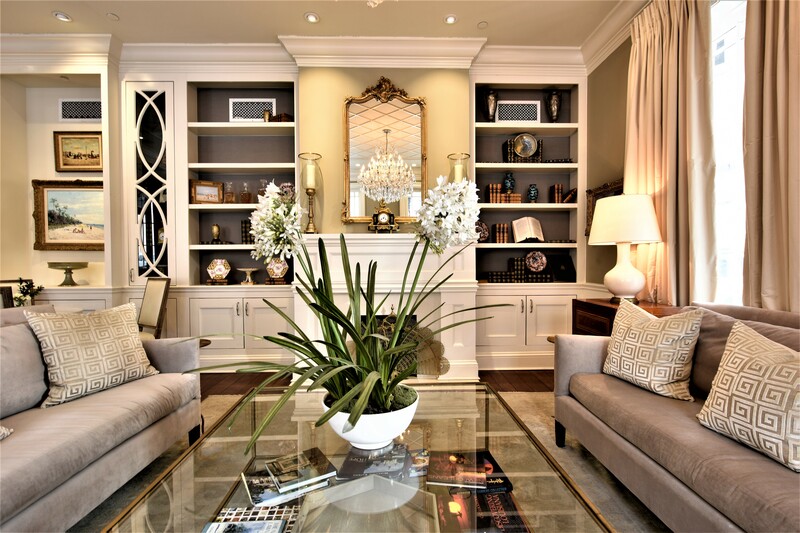 Dry cleaning service – On-site dry cleaning is available to guests. Airport shuttle – For only $24 you can take a shuttle right from the hotel to Louis Armstrong New Orleans International Airport.